I had the delightful experience of returning to Hidden Villa with Barley's class field trip this week. This stunning nature preserve/organic farm/teaching experience really hits the right note of teaching the children where food comes from. Manure is lovingly referred to as "Strawberry Milkshakes" and the kids learn about eating the 6 parts of plants. Can you name all 6? After exploring the garden, they all get to eat a 6-part plant burrito. Barley declined to taste most of it, no surprise. He did try one new thing, though, so I was thankful for that much. I first learned about Hidden Villa when Teddy went on this same field trip 2 years ago. 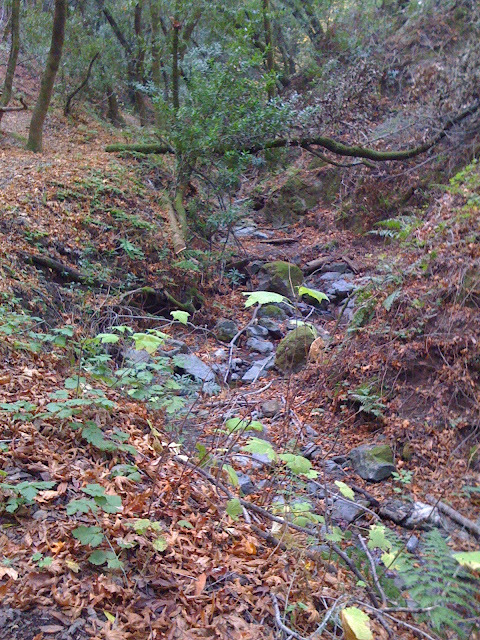 The place is absolutely stunning--and even though it was cold in the early morning, once we got hiking up the mountain, we all warmed up. 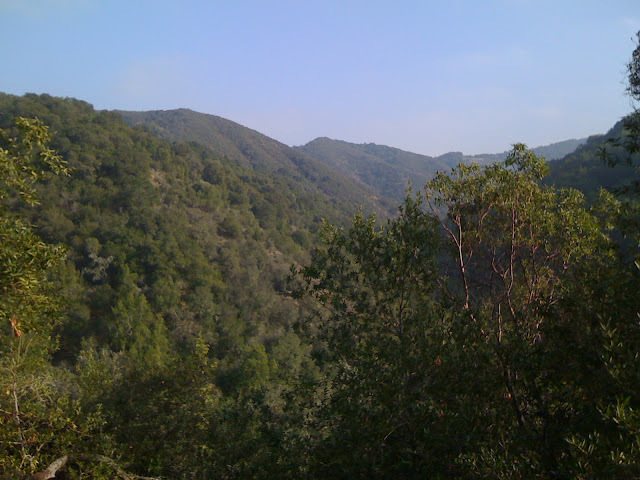 The kids all love the whole trip--trying new things, learning about the cycle of nature, and even getting their precious 5-minute "alone walk" where everyone counts to 50 before proceeding--thus allowing space to feel alone and hear nature. 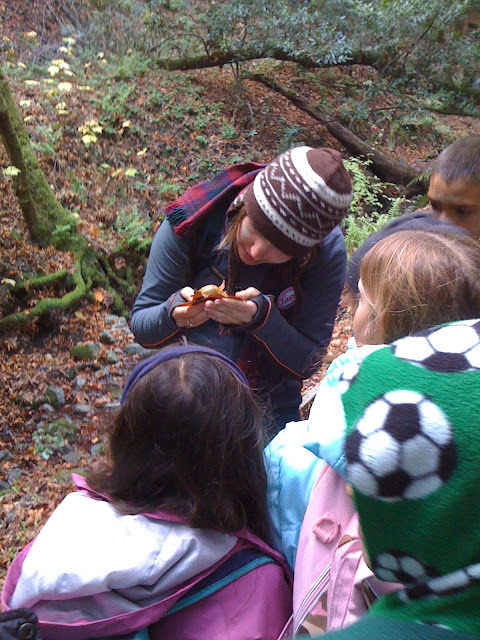 All of the children eagerly kissed the lone banana slug we found ... this one below held by our guide, in fact. Then they all learned the secret (slurpy) banana slug-kissing club handshake. No banana slugs were harmed in this effort. It appeared at one point that I would not get to go on this trip after all, since there were enough parents with minivans who had volunteered. DH was chaperoning a field trip with Teddy on the same day, so he had commandeered the van, leaving me and my 3 seats kicked to the curb in the parent volunteer lottery. Luck was with me--one of the other classes was short a driver, so I was able to volunteer for that teacher instead, and then hang with Barley once we arrived. I was glad to be able to see how each of my boys interacted with this very well run, very wholesome and educational program.